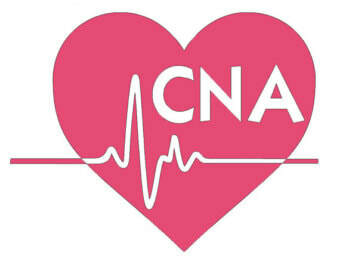 ﻿For tips on applying for your CNA license in California, visit the California Department of Public Health. Nursing has a history of being a female-dominated profession, but more and more men are choosing to enter the field, as it affords a wide array of career opportunities. Get information and inspiration for men who are considering pursuing this rewarding career path. Despite being a rapidly expanding field, the nursing profession is still working to increase diversity. Learn how minority nurses can overcome barriers and find out what’s being done to improve diversity in both nursing education and the workplace. Like all college programs, nursing school costs money. Tuition, books, supplies and housing can add up quickly. Get valuable info and tips about how you can fund your nursing education through scholarships, financial aid, and other means. Learn more about what getting a nursing education means and explore nurse training and other online resources to help you during nursing school and beyond. MSNedu.org is a dedicated resource for aspiring and existing nurses. The information on their website includes degree options, clinical and non-clinical career paths, job duties and salary expectations that will help individuals prepare for and advance in their nursing careers. Nurse educators act as the bridge between the academics required to become a nurse and actual practice in the field. Anyone with a passion for medical research, an interest in teaching, and a desire to help influence public policies may want to consider a career as a nurse educator. According to the Bureau of Labor Statistics, the average annual salary of a nurse educator is $73,150, and employment in the field is projected to grow 16% by 202. Click the link above for more information in this field.